A recipe from Femke (foodforfemke.nl) in which she has processed Greensweet pure sugar-free chocolate. 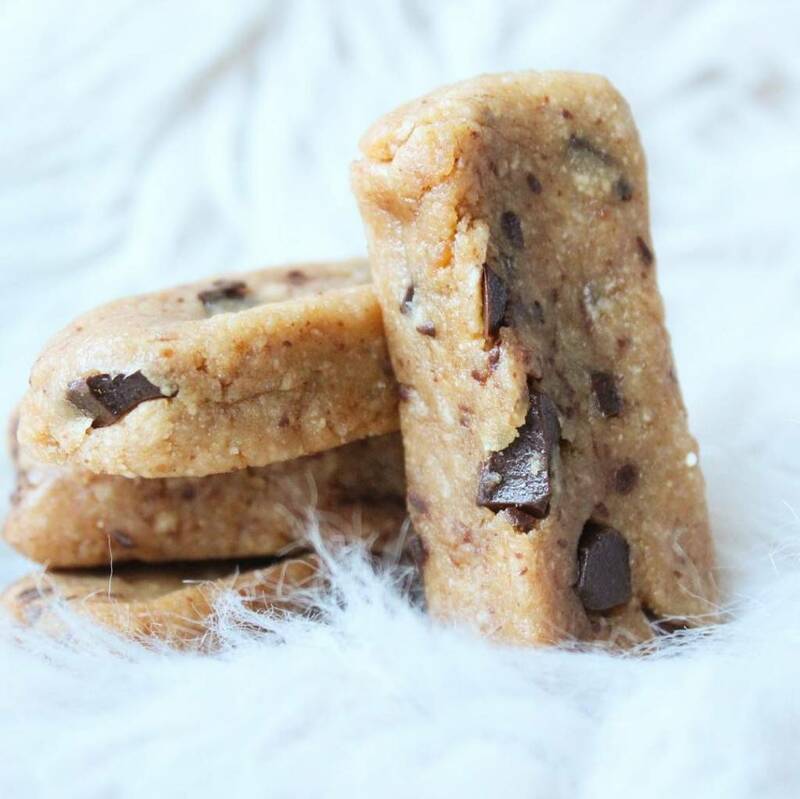 These homemade quest bars are made from 5 but natural ingredients, super tasty, healthy and especially nutritious because I think that's very important! Grab a bowl and weigh the dry ingredients in it (whey, coconut flour). Mix this together. Now add the peanut butter and almond milk and stir. Cut or break the chocolate into small pieces and mix it through the batter. Now you divide the herd into 6 equal parts. You can do this by weighing the entire herd and then dividing by 6. Now form the dough in small strips with your hands. Lay the strips on a baking sheet separate from each other. Put them in the freezer for at least 1 hour to stiffen.